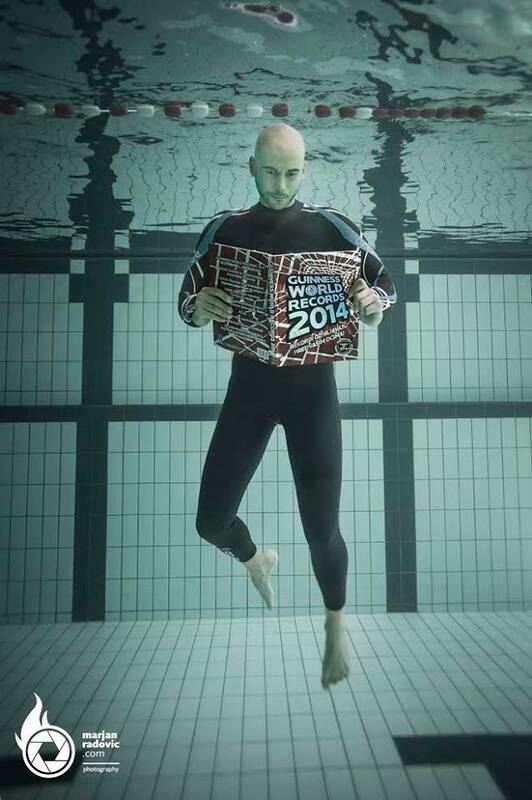 Goran Colak is a Croatian freediver and he holds the Guinness world record in static apnea on pure oxygen (timed breath hold) – translation: holding your breath under water. 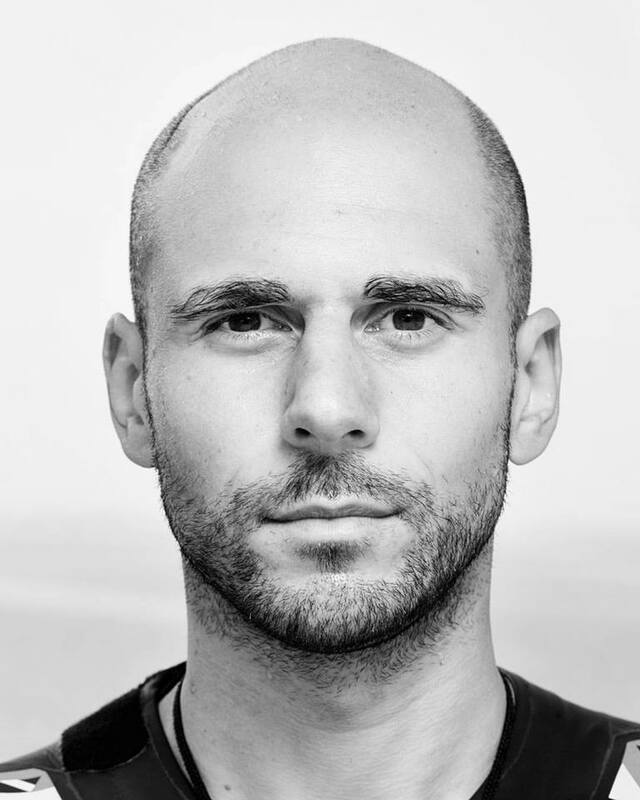 Goran was inspired to become a freediver at the age of 12 when he watched the Luc Besson film “Big Blue”, about the rivalry between two competitive freedivers. Freedivers are known for their mastery of both their body and their breathing, and Colak has pushed the capabilities of the human body to limits which were once deemed impossible. 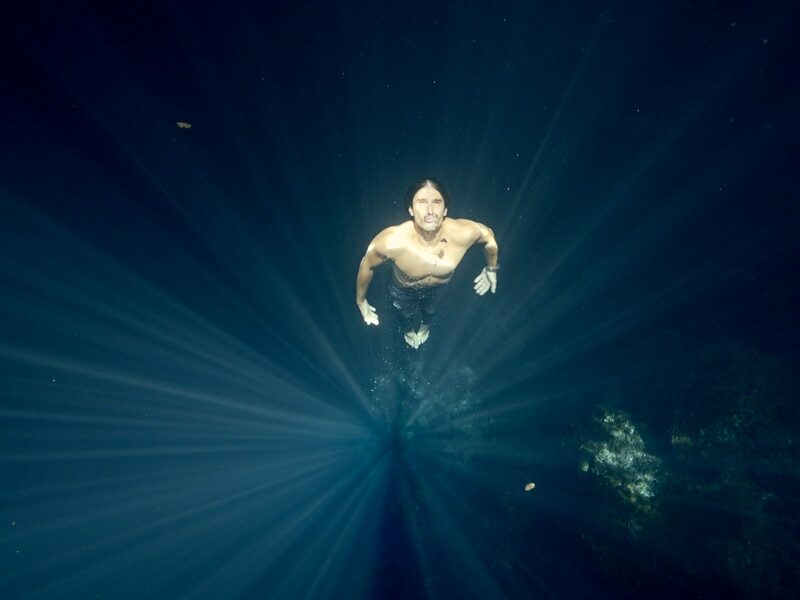 Freedivers tend to have larger lungs than average humans meaning they can hold more oxygen. Having a slim body with little fat means his muscles don’t ned to burn lots of oxygen. But most important is the ability to relax. Free diver Guillaume Néry coming to the surface in a ray of sunshine.